The Farmington River’s east branch bisects this Hartford County town, which shares its northern border with Massachusetts and is home to part of the Tunxis State Forest. 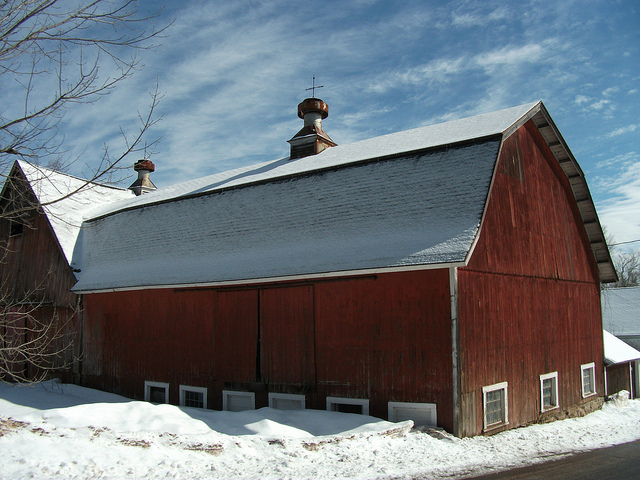 An agricultural community from its incorporation in 1761 and into the 1900s, Hartland experienced transformative change beginning in the late 1920s. The Hartford region Metropolitan District Commission (MDC) began purchasing river valley landholdings in the Hartland Hollow area and neighboring Barkhamsted. In time, the MDC built the Saville Dam, flooded the valley and created Barkhamsted Reservoir. Hartland natives who’ve made history include Asher Benjamin. He authored the first architectural pattern books by an American and influenced building design throughout New England. “Hartland - WPA Architectural Survey.” Connecticut State Library Digital Collections, 2014. Link. Ransom, Stanley Austin. History of Hartland, the 69th Town in the Colony of Connecticut. Hartland: Hartland Bi-Centennial Committee, 1961.